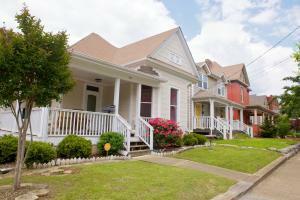 CNE has been committed to bringing Chattanooga’s urban neighborhoods back to life through its programs and services. Made up of Cowart Place, Ft. Negley and Jefferson Heights, the "Southside" neighorhoods were developed by CNE according to a plan commissioned from nationally-acclaimed new urbanist design firm Dover Kohl. Additionally, Jefferson Heights was part of the US Green Building Council's pilot program LEED for Neighborhood Development. Learn more about LEED-ND. As master developer, CNE's roles included property acquisition and land-banking, construction management, coordination with the City of Chattanooga on infrastructure improvements, recruitment of for-profit developers, design review, sales & marketing, and the administration of over $300,000 in purchase incentives. 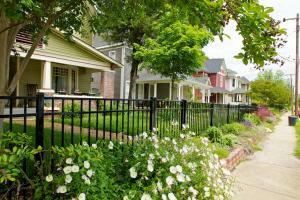 For more neighborhoods with our master developer projects, please click here. One of CNE's first infill housing developments, Orchard Village consists of 58 single family homes, averaging 1,250 square feet each. 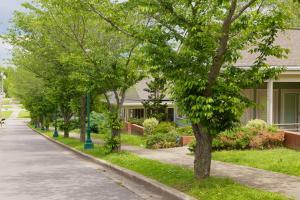 The project was completed in 1991 using both public and private funding, and all homes were sold to a mix of low- and moderate-income families. The process for desigining Orchard Village included input from the Urban Design Center, local government, and extensive resident feedback. The plan emphasizes traditional neighborhood design and a pedestrian scale with homes featuring front porches, steep pitched roofs, detached carports, and extensive landscaping. Winner of the 1994 Urban Land Institute Award for Excellence in Small Scale Residential Development. 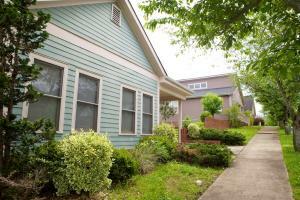 For more neighborhoods with single family homes, please click here.